Preheat oven to 425 with a cast iron pan in it. Fry bacon, then drain on paper towels and once cooled, crumble into tiny pieces. 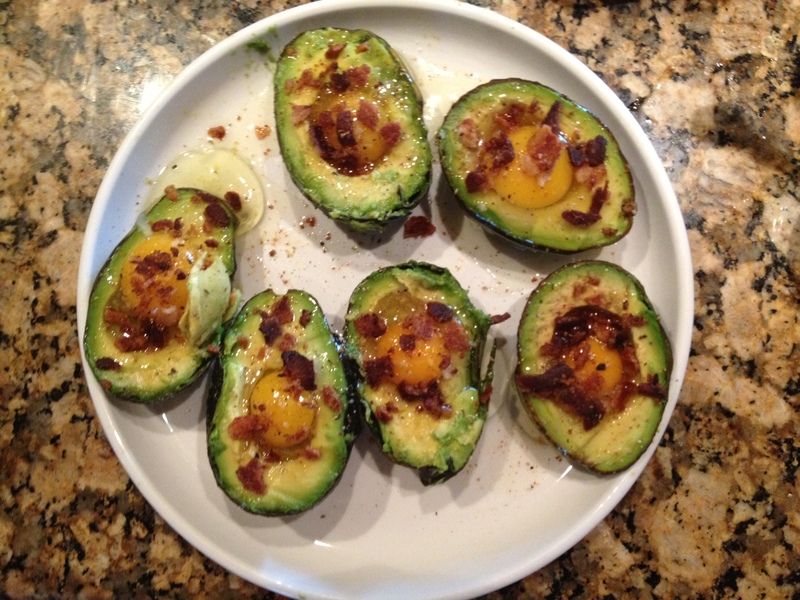 Top the avocado eggs with a sprinkle of salt, pepper and dash of paprika, then add the bacon crumbles. 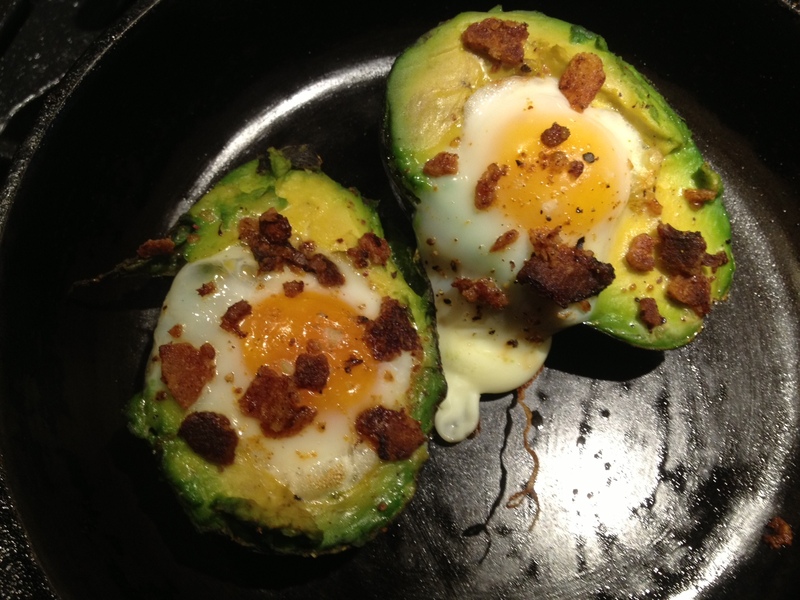 Pull out the hot cast iron pan and carefully place the avocados in it (try not to dribble any egg!). Place in the oven to bake until your eggs have slightly set (or longer if you like them firm and not runny). Enjoy!